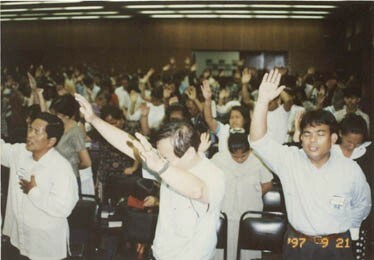 It was during the year of 1997 when I was privileged to visit many of the Philippine Islands, and Singapore and Malaysia. The Lord gave us a mighty move of God which is still going on today. Many of the brethren waxed bold in the Lord and began to preach Christ in a greater way. 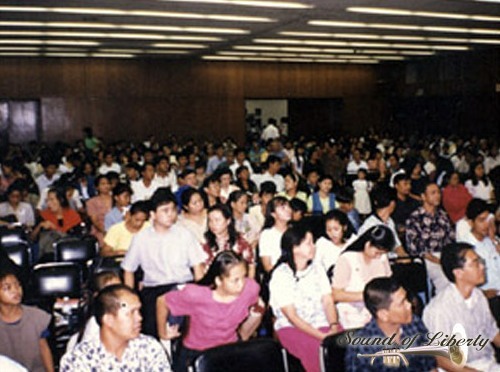 While in Manila, we had many hours for brethren to ask questions. The Lord God Almighty was amongst us and He so graciously helped me to answer all their questions. All the ministers at this meeting went away satisfied with the answers to their questions and gave me an open door to come and preach the Word of the Lord to them. The trip consisted of five weeks of just preaching and going to the different islands. We were unable to record all the services, as there was no means of capturing them because of lack of facilities in the remote areas. But what we did manage to record can be heard and viewed below in the following messages entitled, "Let's Do It Again, But Right This Time," and "The Voice of the Trumpet Sounds in the Philippines," and the Singapore meetings - "Taking What Belongs To Us And Leaving The Rest Alone" and "Is This The Beginning Or Is It The End?" Let's Do It Again, but Right This Time!